again at St Paul’s, Lenton Boulevard, Nottingham, NG72BY. Fr Pius will be speaking the relationship between faith and consent in marriages between the baptized, specifically whether a lack of faith affects the ability of the baptized to contract marriage. A contribution of £20 towards the cost of the food and speaker would be again be appreciated from those who can afford it. Please let Fr David Palmer know (Catholicdavid@mac.com) if you are planning to come. 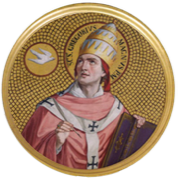 Fr Pius is a Premonstrantensian Canon in the Canonry of Our Lady of Sorrows and St Philip Benizi, Chelmsford, and a native of Nottingham. 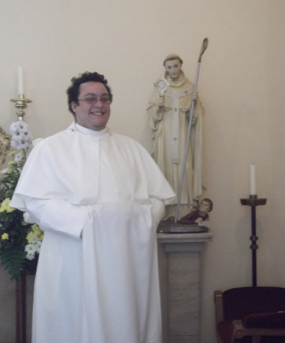 Fr Pius is also Assistant Priest of Our Lady Immaculate and Holy Name Parishes, Chelmsford, Advocate in the Brentwood Diocesan Tribunal and Westminster Appellate Tribunal, Chaplain to Anglia Ruskin University and Chancellor of the Apostolic Prefecture of the Falkland Islands. He has a theology degree from the University of Oxford, a licentiate in canon law from KU Leuven, and has published articles on the canon law of marriage and annulments.